Wendy Wei Tours is pleased to offer the following promotions as part of our tours for visitors who are interested in travelling with us during their time in Southern China! 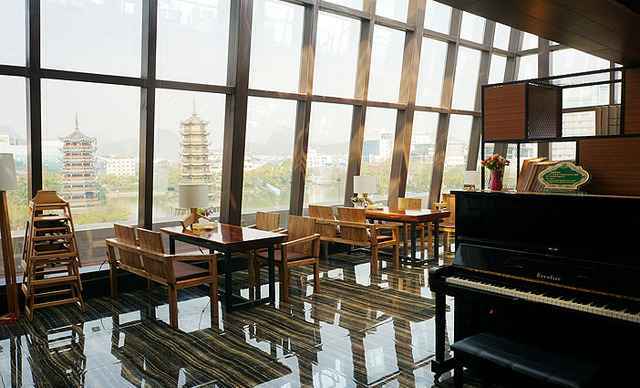 We are offering a complimentary pot of green tea (no hidden costs, no catches) at a rooftop bar in central Guilin, which overlooks the Central Pagodas directly and Elephant Trunk Hill in the distance. For visitors on one of our tours who are interested in this promotion, please take the following steps during your tour/visit so we can provide you with a tasty pot of green tea to enjoy at the conclusion of your tour activities. 1. Like us on Facebook! To begin with, login to your facebook account, search 'Wendy Wei Tours' and like us on facebook! 3. Show your Wendy Wei Tours' tour guide or notify them so staff in our office can check and you will enjoy a complimentary pot of Green Tea at the Vienna Hotel rooftop restaurant. Other types of tea is available too if requested! Dislike tea? We can offer you famous Guilin Rice Noodles instead! We are offering a 15% discount off all tours for visitors who are interested in giving our trainee tour guide(s), a chance and opportunity for firsthand guiding experience. For example, one of our trainee guides, Lyla has been training with us since August 2016 and is a licensed, English speaking tour guide. She is a kind, easy-going and friendly young lady who has a passion for travel and showing visitors a true travel experience - away from forced shopping and other annoyances that are common in the tourism industry. However, she has only guided a handful of tours, which is why we are offering a large discount off our tour pricing as we believe in supporting locals and reinvesting in quality for our future business. If interested in having Lyla or one of our other trainee guides act as your guide during your visit, you can be assured that every aspect of the tour would be exactly the same (compared to if with another guide) and the only difference is the less experience. As part of this offer - we request that feedback from the tour is provided to us so we can learn more about our trainee guides' guiding, assist them and constructively improve their career. This offer is subject to dates and availability.